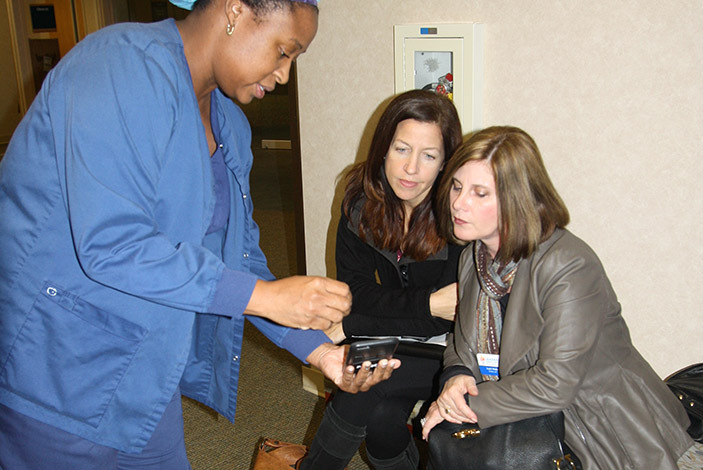 Emory Saint Joseph's Hospital hosted the 2017 class of Leadership Sandy Springs for the health care segment of the organization's Business Day program. 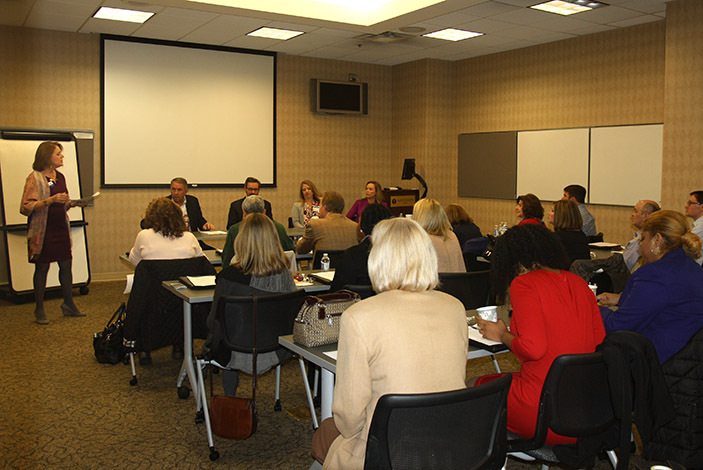 Emory Saint Joseph's CEO Heather Dexter (Leadership Sandy Springs alumna) and Vice President of Human Resources Jeanne Landry led a panel discussion of workforce development and changing business models in health care that also included representatives from Northside Hospital and Kaiser Permanente. 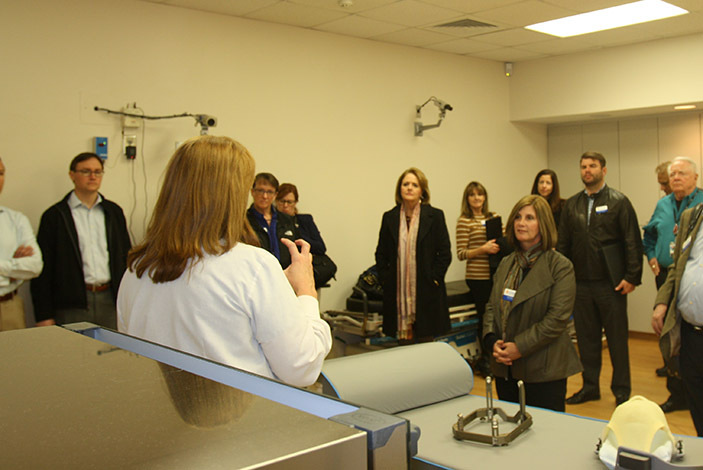 Following the panel discussion, the Leadership Sandy Springs class had the opportunity to learn more about Emory Saint Joseph's innovative medical technology and patient care during a tour. This included a visit to the emergency department's isolation unit and a meeting with infectious disease physician Mitchell Blass, MD who answered questions about a variety of diseases such as Ebola, Clostridium difficile (C. diff), MRSA, Zika and more, and how they are treated. The Leadership class also witnessed an active shooter drill involving the Sandy Springs Police Department, and how Emory Saint Joseph's prepares for an incident from the perspective of security, staffing and communications. 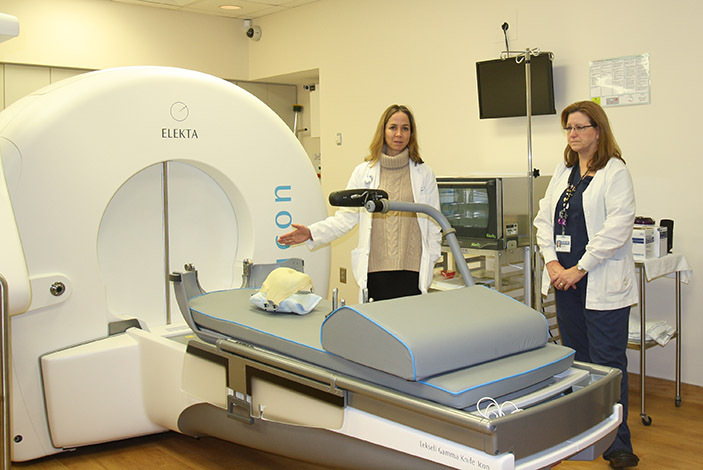 The group continued with a tour of Winship Cancer Institute, where radiation oncologist Shannon Kahn, MD introduced the Gamma Knife Icon, a minimally invasive radiation treatment for brain tumors and other neurological conditions that is an alternative to traditional surgery. Emory Saint Joseph's is one of only seven medical centers in the nation to offer the most updated technology for radiosurgery. 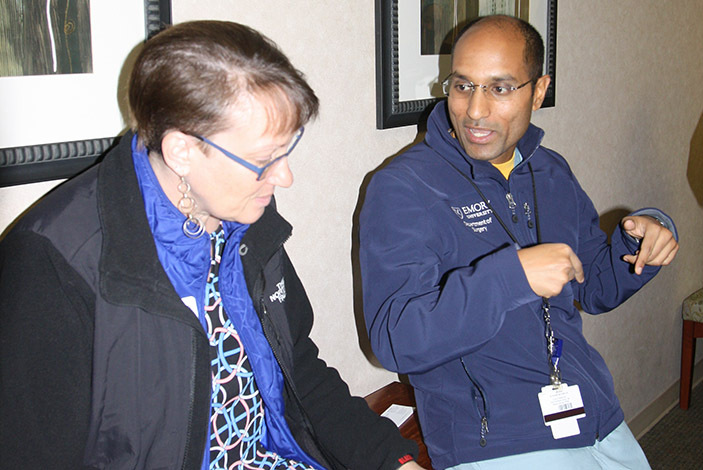 Ankit Patel, MD, a general surgeon who performs robotically assisted surgery, concluded the tour with a discussion of robotics and the types of minimally invasive surgery available to patients at Emory Saint Joseph's, which includes general surgery, oncology, colorectal, cardiothoracic, gynecology and urology. Robotic surgeons use a specially-designed computer to control surgical instruments on thin robotic arms, and guests had the opportunity to operate the controls on a robotics simulator. Emory Saint Joseph's staff were also on hand to provide a unique perspective and details on the operating room during surgery.